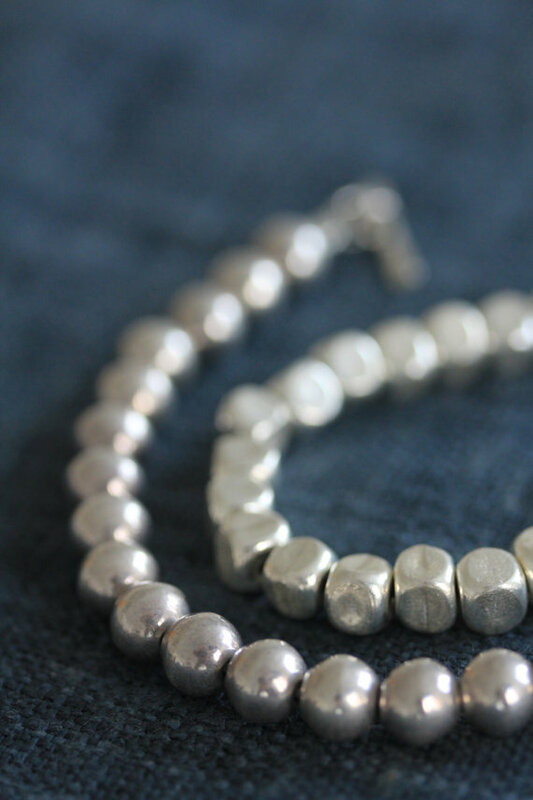 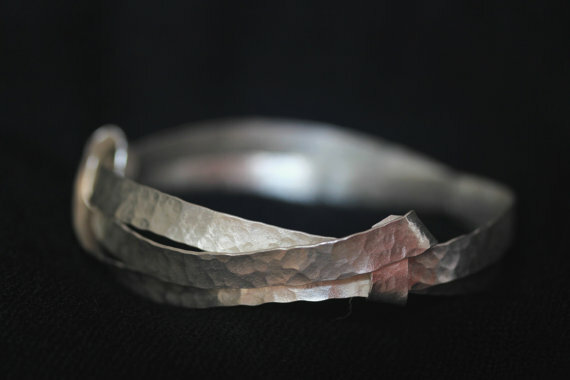 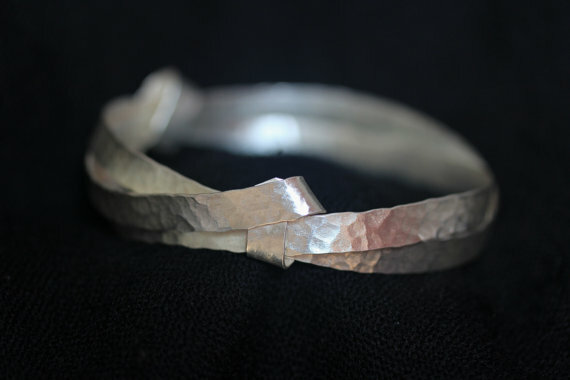 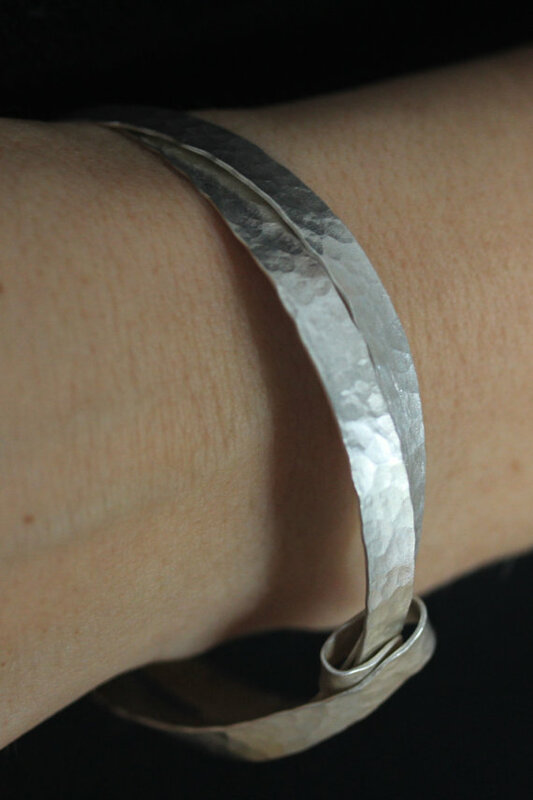 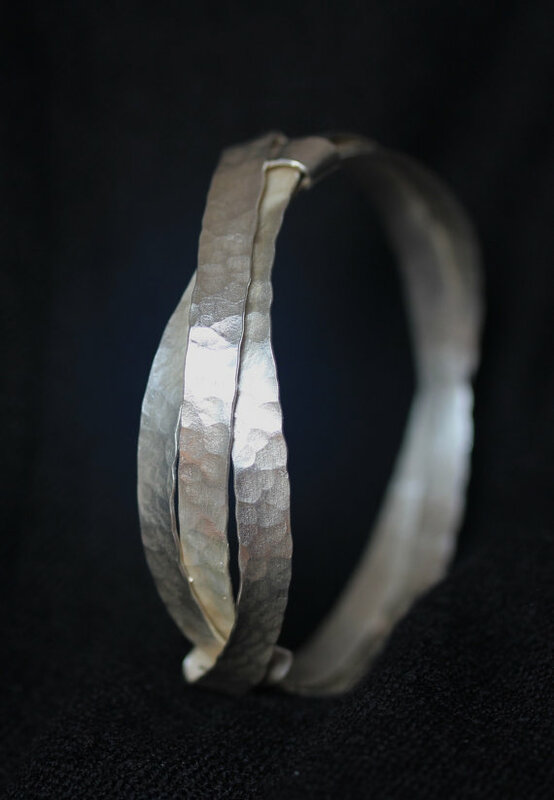 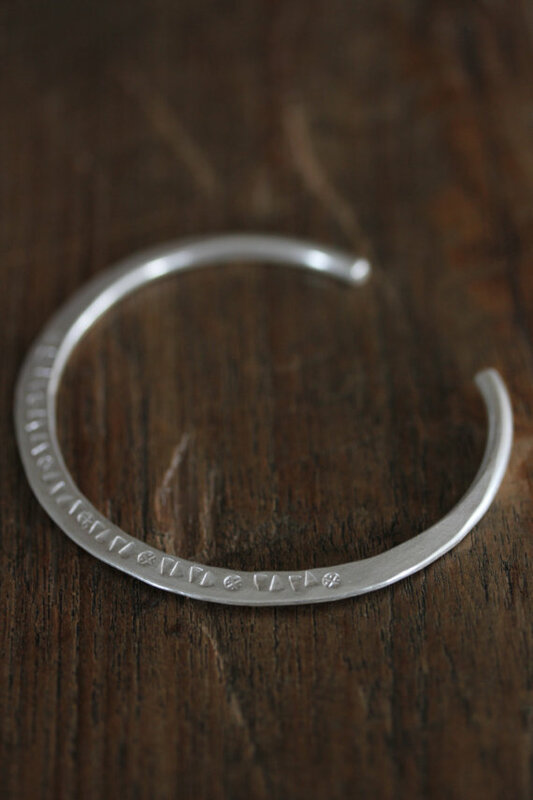 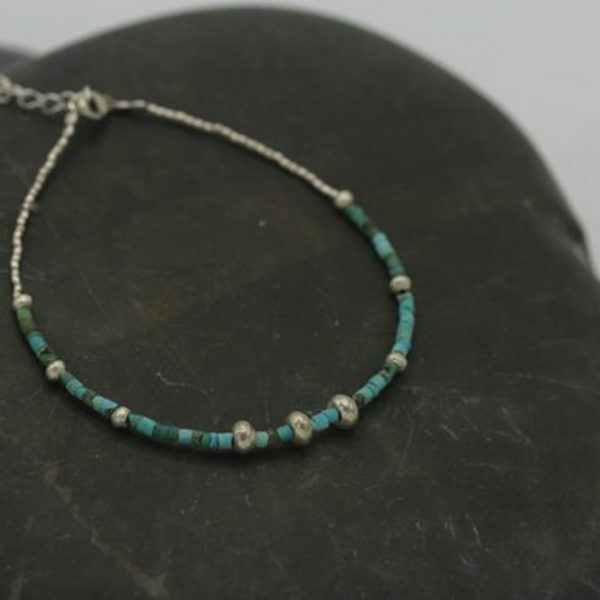 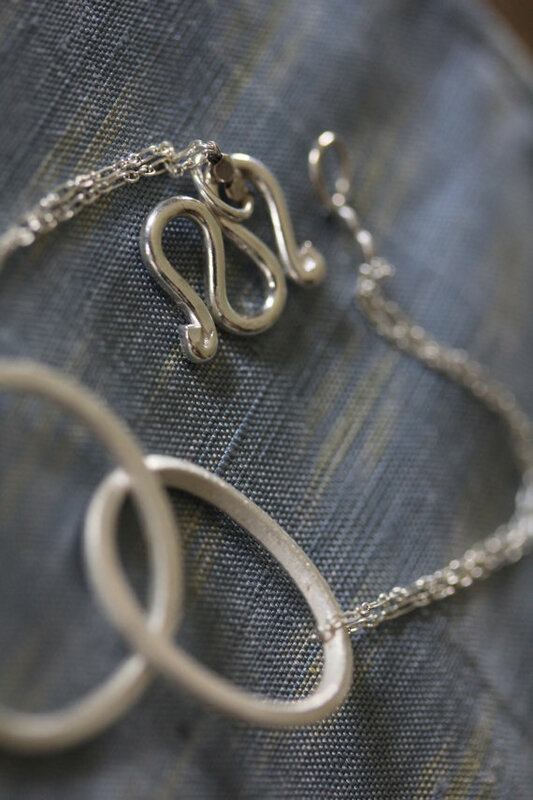 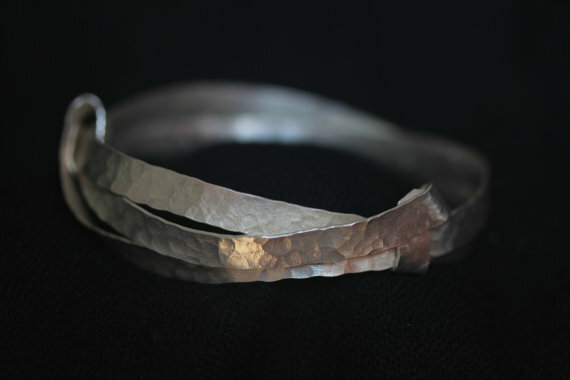 Continuous long silver flat wire is hammered along its length to create this special geometric pattern, and then wrapped in 3 loops to create the shape of the bracelet. 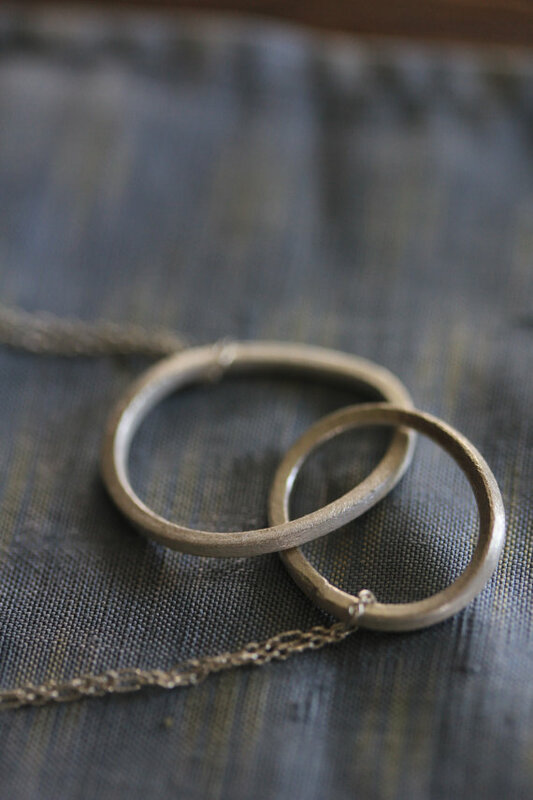 The wire is then tied into the final knot, on the opposite side of the starting knot. 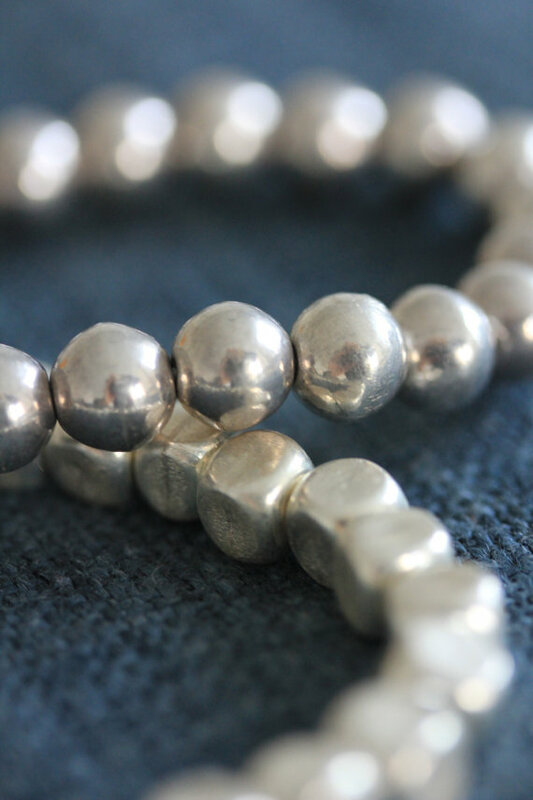 The knots can be gently pulled to slightly adjust the size of the bracelet. 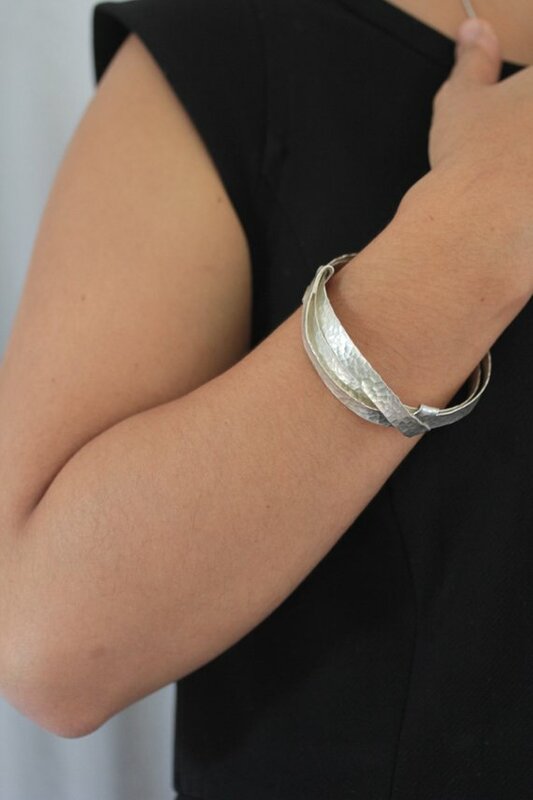 It is a beautiful and very unique piece of jewelry, adapt for everyday wear as for special occasions. 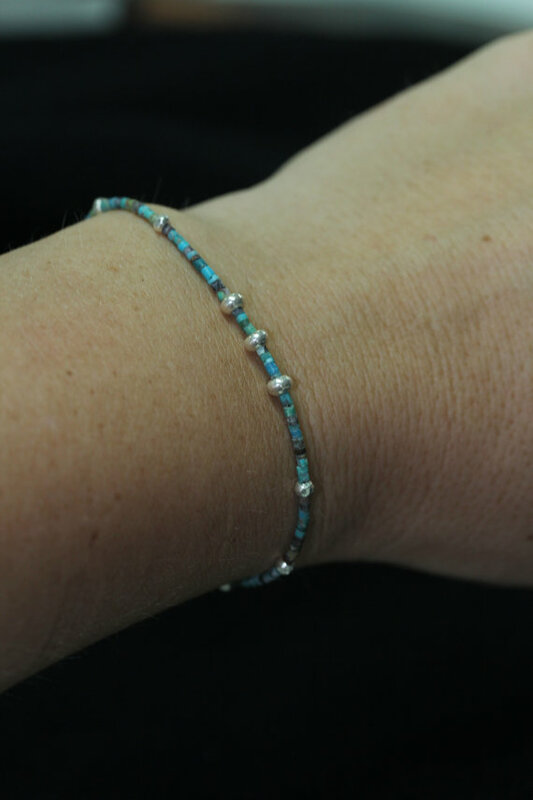 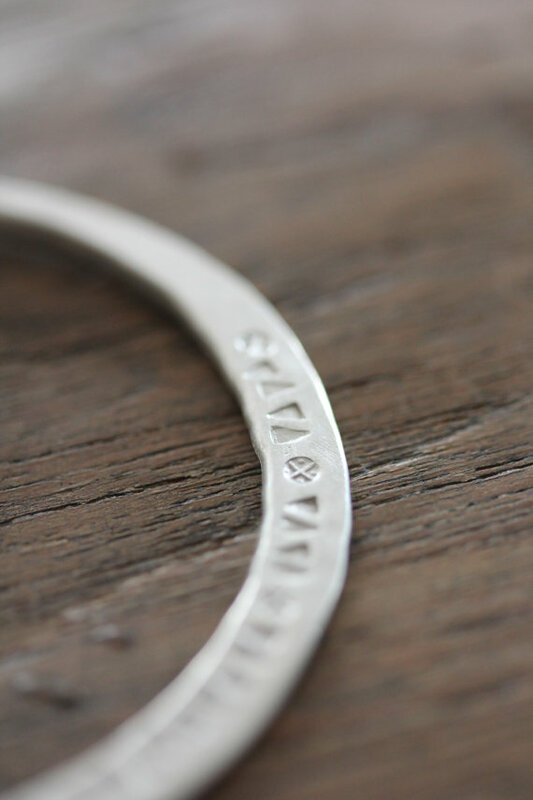 You can let us know if you would like the size of the bracelet to be adjusted to preferred size.